Finally. After so many months I have finally gotten to on my To Be Read list and finished reading Thrawn Alliances by Timothy Zahn. What a book. So, when reading through this book, I know that I felt a little sad that we didn’t get an update on Eli Vanto however, the book more than delivered. The book starts right where the last one left off. We see Vader and Thrawn with the Emperor discussing a disturbance in the force and that he needs to send his most trusted men to look into it and figure out what is going on. The dynamics between these two characters is fantastic. They don’t exactly like each other, especially Vader, but they know they have to work together. However, throughout the entire book, we see Thrawn constantly making little statements and nods that he has worked with Vader before, and Vader keep contradicting him. Why, do you ask? Because they have worked together, but back before Thrawn was with the empire and Anakin Skywalker was still a Jedi. This book does a great split between the points of view of Padme, Anakin, Thrawn, and Vader. It’s a great balance of seeing Vader’s internal conflict with thinking of, who he calls, The Jedi (himself as Anakin) and his time and then seeing Anakin, long before the threat of Vader loomed above his head, though we have been able to see that darkness threading through Anakin’s life from The Phantom Menance all the way through the Clone Wars show and Revenge of the Sith so it is a cool story to see intertwined in the stories we already know. More importantly than Anakin’s story arc, seeing the fact that Thrawn has already met Jedi and before he was found by the Empire on that planet, he had already interacted with the Clone War and knew what was going on in the galaxy. He was already able to speak Basic and communicate with Anakin just fine, so what threw Thrawn into the empire now? What did the Chiss want when he was sent there? I have so many more questions now that I hope are answered in Thrawn Treason when it comes out later this year. We see the interactions between Vader and Thrawn also get strained as they are struggling about what their end games are and Vader being very skeptical of what Thrawn is doing/who he is serving and even mentions treason a few times so who knows what of this book will be echoed back in the next. Also, another stellar story by Timothy Zahn. I cannot say enough how much I enjoy his writing in Star Wars. If you like the EU as well, definitely read both his older and newer stuff. Overall I rank this book ⭐️⭐️⭐️⭐️⭐️/5. So, one thing that I really enjoy about being a complete book nerd is finding new books to read. There is nothing like getting something new that you are interested in and being able to open the book and dive in. Now, when it comes to books (and many other things in life but hey, I write about books) there are many options when it comes to finding something new. Here are just a few of my opinions on buying new vs. used. Now, when it comes to wanting support the authors, I will always try to buy new. I know how important both preorders and sales in general are so if there is something I am looking forward to or something I can easily find, I try to buy new as much as possible, and when my wallet allows it. There’s something about going into a book store and seeing the new releases and the smell of a brand new book. I could spend hours in a local bookstore or chain going through the aisles and seeing if there is something new that I am interested in reading. When I was sick sometimes, the closest new book store to our family growing up was an hour away and was either a Barnes and Noble or Books-A-Million, but mom would take me there and let me pick something out to keep me occupied until I got better. Sometimes I’d find puzzle books, but sometimes I’d be able to grab the latest book in a series. Classic books found in the vintage books section of a local thrift shop. However, sometimes I also enjoy the complete toss up of a used bookstore or thrift shop. If you enter one close by to me in Pennsylvania, you may spot me wandering every single aisle, seeing what is offered up on that day. The one good thing about buying used is, even if I’m not buying a book, it has been purchased, it is physical, and I know the author did get credit for it at one time. I usually go to a used book location to find things that might not be in print anymore or if my pockets are just a little tight. I know the majority of my Star Wars collection so far has come from two different trips to two different thrift shops and it looked like someone dumped off their collection so I swooped in to give those books just a little bit of love. Just like I mentioned the smell of a new book, there’s something about the musky smell of a used bookstore. I know that sounds weird but smells do bring back memories. For me, my mom and I, when I was in middle or high school, would scour the local thrift shop and look for the books that I really truly wanted but we couldn’t afford to buy new at that time. I was able to find so many good reads that way, books that I have kept to this day. Going on a hunt like that with my mom was always an adventure and we would compare what books we found and I’d always find something that she would get excited about. I was always really proud when I found something that I had been looking for forever. Now, one thing I could never condone is pirating books. I know this post wasn’t about that but, before you leave this post and might even think about it or have before, listen. That way doesn’t help the authors who’s hard work and time went into these books, whether you like the book or not, that book is someone’s baby and labor of love. I do love ebooks, and get them frequently (I can’t tell you how many ebooks I also have in physical book condition as well, you’re welcome so many authors that I love) just because of the convenience of being able to pull them up on my phone or Kindle but getting content without giving the author’s credit is just wrong. I am officially over that little monologue but one thing is for sure, books are always a great choice, whether new or used. If you are done with a book and it isn’t a “keep this forever,” or “I’ll reread it a million times” kind of book, consider donating a haul so someone else might enjoy it, and the cycle then continues. As I am sure many of you do, let’s just say, I like a lot of books. In those books that I enjoy, there are several in many different series that I keep every book of, read every book, and reread that series as many times as I can. 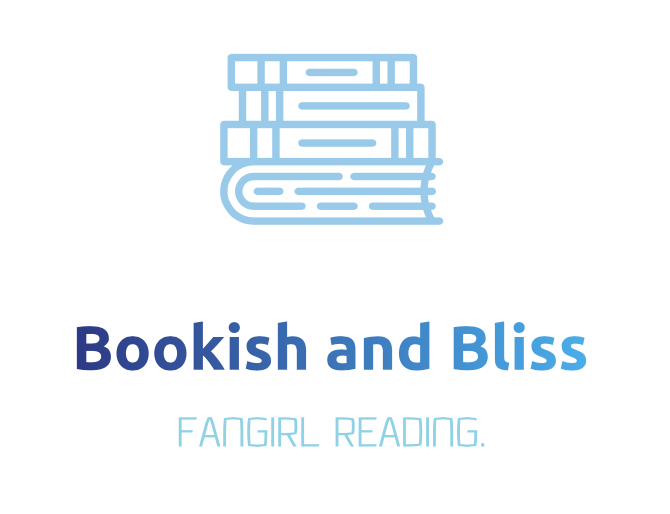 I decided to focus on those today, mostly so you can get to know me a little better as far as my book profile is concerned, and to maybe spark some additional conversation around what your favorite different series are. Obviously, one of the most adored series of all time, I can’t count how many times I have either listened or read these books. I was gifted my very first copy of Harry Potter and the Sorcerer’s Stone when I was the same age as Harry, 11 in 2000 for Christmas from my grandparents. I was hooked. I hated the waiting for each new book to come out because all I wanted to do was read it immediately. I waited at midnight for the last two books because it was then that I could drive myself to the closest book store 45 minutes away to wait for them. Each year, I would reread the entire series that was out so far and after Harry Potter and the Deathly Hallows released, I read the entire series several times through. This is a part of my childhood and I still love the books so much. When I was in London studying abroad in college, I started collecting one of the British versions but as of right now, I only have the first three books due to the fact that I didn’t have enough space in my luggage. This series is another one that I have reread frequently. Though the novels are quite long (some topping way over 1,000 pages) I can’t put it down. I am currently going through a reread using the Audiobooks which are narrated by Davina Porter. They’re great to listen to on long car rides or even just doing the dishes. Though the series has now gone into a TV show, I still adore the books. There are currently 8, as I referenced in my previous Character Focus post, as well as several novellas and a spin-off series focusing on Lord John Grey. If you are a fan of historical fiction, a little fantasy, romance, and family drama, I cannot not recommend this book fast enough. Go get the first one and see how fast you’ll be hooked! This series focuses on Feyre, a human, and her interactions with faeries and trying to save her family. It’s definitely a YA series overall but one that I was enjoying all the way through. I wouldn’t recommend it personally to those younger due to some racier scenes, but overall it is one of my current favorite series to read through. I’ve read through all of the current available books in book form and now I am going through and doing a listen through via audiobook. I recommend this series if you are a fan of fantasy, romance, fantasy battles, and magic. It has great and complex characters and Maas is great at planting even the most minuscule conversations and having them lead to major plot and character developments along the way. I was blown away at the times I was recalling what I previously read and how she tied it all together. There are currently 3 novels and 1 novella out now with more in the pipeline! I am currently reading through, or have these series on my TBR pile! This book is the Legends origin of two beloved characters in the Star Wars Universe, Grand Admiral Thrawn and Mara Jade. While Thrawn has now been canonized, this is our first encounter with the beloved, non-Disney canon Jade. The story takes place five years after the events of Return of the Jedi when the New Republic is trying to rebuild and to track down the rest of the Empire. We see the big three, Chewy, and Lando again doing what they do best, and right among one of the most brilliant minds in the Galaxy. Along with this, there’s someone who wants the Skywalker Twins and someone who wants to make sure Luke doesn’t make it. We see all kinds of aliens as well as this is the first book telling that includes a Bothan (this book causes me to finally look up what they are supposed to look like). There is all kinds of trouble in the universe surrounding these other species and the main characters we know and love, and some surprising relationships formed throughout. Overall, after reading Timothy Zahn’s new canon version of Thrawn, I still very much enjoyed his first appearance, as well as Zahn’s creation of the very strong and opinionated Jade. She was a character I long wanted to meet in book form and definitely want to read on more about her. She surprised me and she’s one of the reasons why I was so drawn into the book, to see her connection to Luke. Overall, in the beginning, it was hard for me to get into Heir, especially with the very beginning of Mara Jade’s story but once that progressed, and we got into some of the early action, I was hooked and had to finish the book as soon as possible. Overall, I give Heir to the Empire a ⭐️⭐️⭐️⭐️/5. 👏👏👏 Great Book Mr. Zahn and now I need to continue reading books that have been out for almost (just a few years short) my entire life. Gotta get cracking! Switching up posts just a little to focus on one of my absolute favorite leading ladies in Fiction, Claire Randall Fraser from the Outlander series by Diana Gabaldon. To say that I love this series is an understatement and, for me, it has only been further enlightened by the tv show of which already has four seasons out. The novels have so many amazing characters that I can’t wait to focus on but, for this month, we’re looking at Claire. If you’re looking for a leading lady who will stand up to Kings, Princes who want to be kings, America’s founding fathers, and deals with two husbands and family across 200 years, you’ve found an amazing character. Let’s just say, she has a stubborn, no-nonsense attitude and, once she’s set her mind on something, there isn’t anyone who can stop her. Claire accidentally travels back in time 200 years from the end of World War II to the time before the last Jacobite Rising in Scotland. She’s just finished being a nurse in the war, is enjoying a second honeymoon with her husband, Frank Randall, who’s she’s been away from during the war, and then she ends up stuck in the time of Red Coats and Scottish Chieftains. Claire brings her 20th century knowledge, skills, and sensibilities with her and changes the life of a young Scottish man who ends up falling for her, and her with him. She pushes Jamie Fraser, the young man she meets, she’s bold in her ideas, and he trusts her, despite their differences. However, this is just the first book and (SPOILERS AHEAD) she does end up back in the 19th century and does eventually return to Jamie and their epic romance, 20 years later. Yes, this does mean that she was married at one point to two men at the same time but does it truly matter when they’re centuries apart and she never thinks she will return to her own time? The books (or these beginning novels) have been out since the 1990’s so if you want to read ahead, do so at your own peril. I have been in love with this series since one of my good friends turned me on to it in college. It has everything you could want out of a series, some fantasy, historical significance, some romance, and a kick-a$$ heroine who tries to save the day and protect her family at all costs. The beautiful thing about Claire and Jamie’s relationship after they are married and despite being separated for 20 years, is Claire is an equal to Jamie. He does not make any decisions when they are together without her counsel (usually) and they fight for one another, time and time again. Despite how strong she is, he still protects her though and not in a damsel in distress kind of a way. His protection is more of a, “I’ll lay down my life for you because you are a part of me” kind of way. Does that make sense? It does to me, and so I hope it does to you. The way I see Claire now in my head is a reflection of how she is played by the amazing Caitroina Balfe. She plays Claire with all of the strength, power, and independence that you would want her to, but including the amazing chemistry she has with the actor who portrays Jamie, Sam Heughan. If you want to see a strong female character who can be an amazing wife and head of her family while at the same time, completely rocking it at being a doctor and surgeon (didn’t mention it above but, yeah, surgeon) at a time when women were not typically filling in those roles, check out the Outlander series, both in book and tv show form on Starz. I will be reviewing the books later on and giving you a more in-depth look at the world of Outlander but for now, we’ll just be admiring how absolutely stunning she looks in the show in both the red dress above in the 18th century as well as her look in the 1960s. I do suggest, if you’re going to read the main series, read them in that order. Then, if you’re feeling up to it, Diana has an entire series just focused on the character Lord John Grey who you’ll encounter as well as several novellas. Check them all out. Have you read Outlander? What did you think? Man, oh man. This TBR pile is basically an entire bookshelf but I decided to share with y’all my books that are coming through the pipeline. Obviously, these are subject to change but as of right now, these are the books that you can expect a book review of soon! Heirs of the Force by Kevin J. Anderson. This one I am currently reading and it is the first book in the Young Jedi Knights series. I’m really excited that I was finally able to start this series. I had two of the books when I was a kid, I think one of my parents gave them away at some point, but one of my best friends pulled through when he let me know he bought the whole series! Score! I mean, let’s be honest, I’ll probably do the same thing at some point myself. Let’s just say, day dreaming about the unfortunate lack of canonization of Jacen and Jaina Solo and how they may have influenced characters we see now will keep me occupied for awhile. Thrawn: Alliances by Timothy Zahn. The first one was amazing and after reading Timothy Zahn’s original interpretation of Thrawn, I am beyond ready to finally get to Alliances before the final book in the trilogy comes out. Let’s just say Mr. Bookish and Bliss and our best friends will be super glad they can stop chatting about this without me so I can avoid spoiler warnings. Let’s just say, the last few pages of the first novel have me bouncing off the walls to see another one of my favorite Star Wars characters come to life again in a novel. Red Queen by Victoria Aveyard. This novel has been one I have been meaning to read for awhile (and have been recommended it several times) and just haven’t gotten to it yet. Let’s just say, it has been hanging out on my bookshelf for longer than I care to admit. Ready to knock this one out though I have a million different, or so it feels like, series’ going on right now. So that’s it for now, you may get an updated TBR as the month goes on, let’s just say there are a lot of good books coming through my list and these are definitely going to warrant a review when I’m done with them! As I don’t yet have the physical copy of the book version of The Force Awakens, I opted for listening to it on audiobook. One not on the audiobook specifically, if you haven’t heard Marc Thompson read an audiobook to you, you’re doing it wrong. He was amazing and made it so enjoyable! Also, this was the first audiobook I’ve listened to with effects and that was a great way to visualize what I was hearing, especially on the scenes that did not appear in the movie! The adaptation to book was fantastic. I haven’t read an adaptation of a Star Wars movie yet (behind, I know) but being able to hear/read other things that truly enhance the story we’re pivotal in even helping me understand certain relationships. We see what’s going on in character’s heads and, for once, I was able to fully see how Rey learning about her abilities in the Force did grow slowly, not just a BAM lightsaber fight and she can hold her own moment, her communing with the force builds up so well over the entire movie if you pay attention to the little things. She’s been using the force her entire life but did not know what she was dealing with, until Kylo Ren kicked something awake in her. The additional scene with Unkar Plutt actually chasing Rey for BB-8 and seeing him again was great. I always wondered what happened after he told his associates to get that droid. Also, additional Poe scenes really filled in how we get him back to the resistance base and off of Jakku and I know that was something I was excited for knowing. This book has officially made me want to collect all of the adaptations, if anything to get these character’s inner dialogues that I did not know I was missing out on. Overall, I give this book ⭐️⭐️⭐️⭐️⭐️/5! It truly enhances my experience as a Star Wars fan and I can’t wait to read the others! Check out my link in bio for my latest blog post! This one is about used vs. new books! My next Star Wars read after I’m done with Red Queen and Crazy Rich Asians. I’ve been really enjoying reading the original legends Thrawn trilogy. They’re really interesting and entertaining, even if they aren’t canon. I decided to space out some of my Star Wars books, otherwise I won’t get any reading of anything else done!